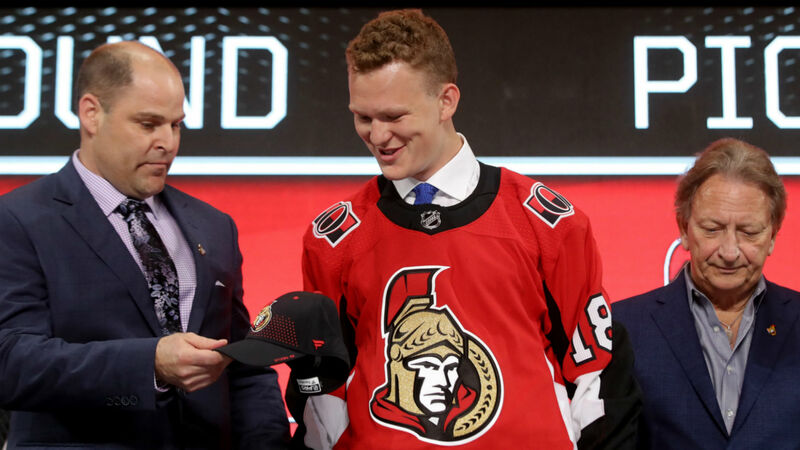 The Senators rookie missed Ottawa’s first two games with a mild groin injury, but his delayed debut was well worth the wait. After playing 14:33 against the Bruins in Boston on Oct. 8, Tkachuk made his home debut a memorable one by notching the first two Senators goals against the visiting Philadelphia Flyers on Wednesday. Tkachuk’s first of the night was the result of a fortuitous deflection off his skate as the 19-year-old stood in front of the Flyers net at the 8:39 mark of the first period. The goal was originally given to Chris Tierney, but credited to Tkachuk moments later as it was clear that the puck deflected off the rookie before entering the net. If Tkachuk’s first goal was the result of luck, his second was all skill. The youngster took the puck from the Senators’ blue line and skated into the Flyers zone before unleashing a wrist shot from well out that zoomed past Flyers goalie Calvin Pickard. Revealed: Every World Cup 2018 squad – 23-man & preliminary lists & when will they be introduced?